With the increasing shortage of energy and the worsening environment, the biomass wood pellets have become the best substitute for coal, oil and natural gas. Biomass pellet machinery is a new quality biomass sawdust molding equipment, including wood pellet machine, straw pellet machine, etc.. The suitable raw materials have peanut shell, bagasse, sawdust, straw, castor shell, coffee residue, rice husk, sunflower shell, cotton stalk, tobacco residue, mustard stalk, bamboo, leaves, palm shell, bean shell, coconut shell, palm silk, dregs, other crops containing wood fiber. 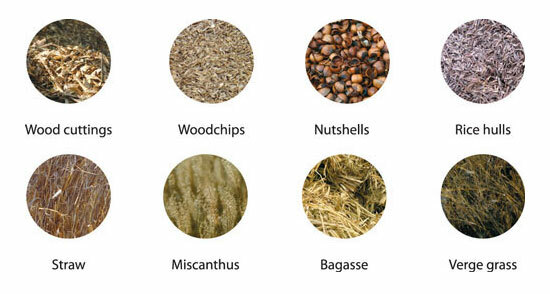 What are the benefits of wood pellets? Reducing the environment of dust pollution and causing the loss of resources. 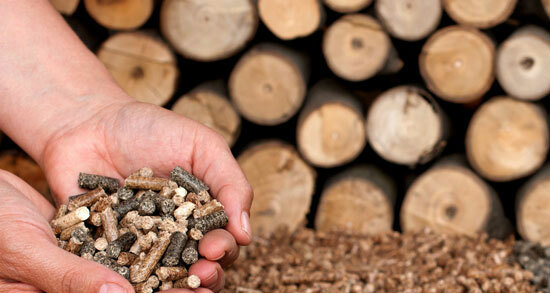 Wood pellets are more effective in controlling combustion, and the ash is less than 6%. The storage of wood particles is convenient, which can increase the use of space. 7 cubic raw materials produce 1 cubic pellets. Promoting the treatment of raw materials and reducing the waste of resources. The area is reduced, the volume is compressed, and the transportation is convenient. Wood pellet machine adopts the design of flat die. Power source is 4 types, including electric motor, diesel engineer, gasoline engineer, PTO (Power Take Off). There are D-type and R-type. D-type mainly refers to rotating die type, which the roller is fixed and the flat die is rotating with the main shaft. 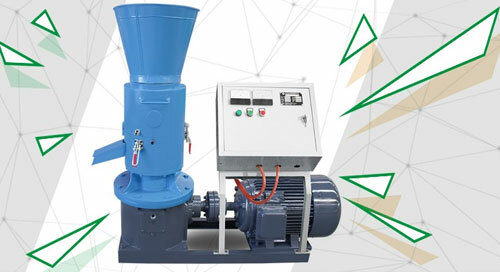 While R-type, the rotating roller pellet mill, is on the contrary, it means the roller is rotating with the main shaft and the flat die is fixed, it is the pro version of D-type. The operation is simple and easy to control. The machine uses the gear to drive the spindle to friction the flat die and the roller, and the resulting friction temperature (between the press roller and the flat die) can reach more than 80 °C. Raw materials through the high temperature, the pressure roller and flat die extrusion, through the hole in the flat die, high-quality molding wood pellets will roll out from the discharge port. The length of the particle can be controlled by a knife. The gear box is made of high quality gray cast iron, with small noise and good shock absorption. The use of bevel gear transmission is more efficient than belt drive and worm gear drive, and it can avoid the shortcomings of belt slipping and short belt life. Reinforced shell increased, and increase the thickness of castings, thereby greatly enhancing the strength of the machine, put an end to the wood pellet machine shell fracture phenomenon. High quality alloy steel is used for flat die and roller, and the hardness is 55-60 HRC. The most suitable die hole structure for wood sawdust processing. The core technology obtained through a large number of experiments - the optimum compression ratio of the die hole. Safe electronic control system, fully comply with the CE standard operating system. The urgent stop button can quickly shut down the machine in the case of emergency. Because of strict and standardized production and technology management, we ensure the consistency and interchangeability of all our machines and parts, and customers feel more comfortable when choosing spare parts.